My London Underground Observations and impressions during my London Visit. My London Underground Observations and impressions during my London Visit. You can see the different rolling stocks and stations and short rides for example A60 Stock. I spent hours studying the London Underground tube map, trying to make sense of all the colorful lines. If I only knew then what I know now. 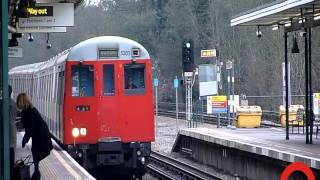 The New London Underground S stock is now in service! (HD) London bus Observations Part 2 | May - July.